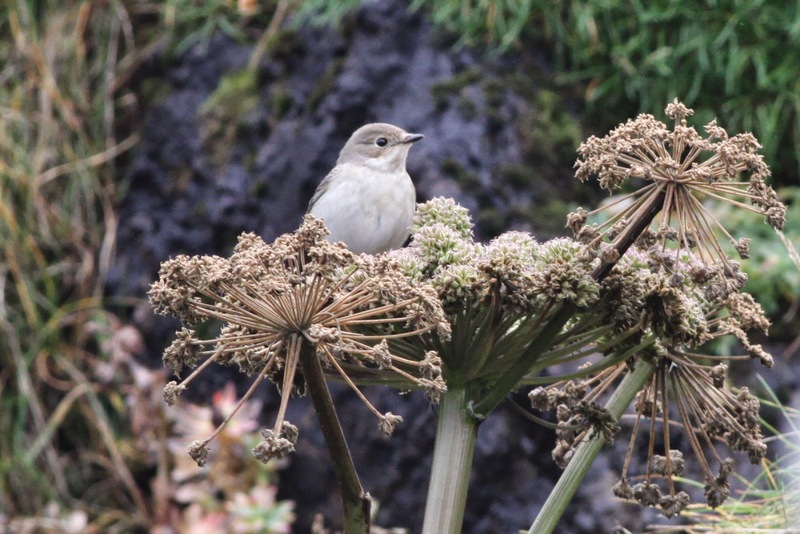 Fair Isle Bird Observatory: the Warden's diary: Sunday Funday? 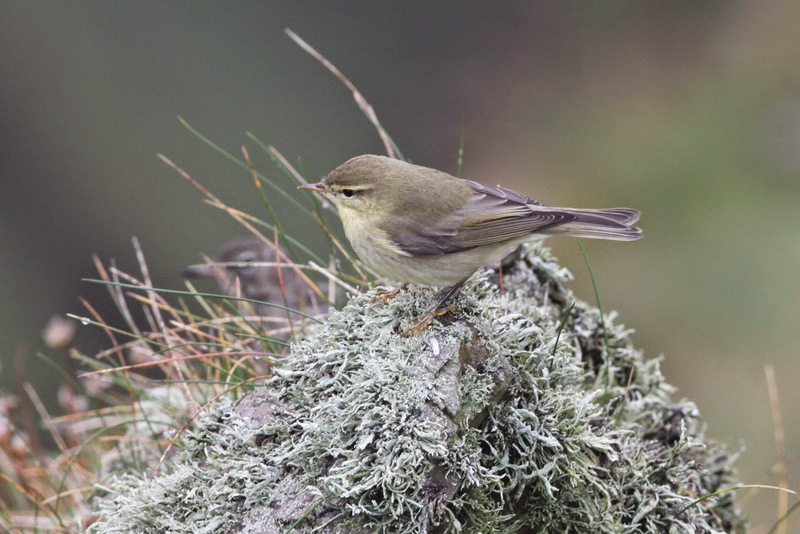 Willow Warblers have been around in decent numbers in recent days, with most crofts and geos holding the odd one or two. Arrivals continued in the pleasant birding conditions on Saturday and, with the team out in the field all day, there was a pleasantly full feeling to Log. The highlight was our first Short-toed Lark of the autumn, found by Richard on Meoness, with other scarcities represented by 3 each of Wryneck and Common Rosefinch and 2 Barred Warblers. Recent Rosefinch sightings have mostly been from the few small patches of oats around the crofts, or the dense rose bushes in various gardens. 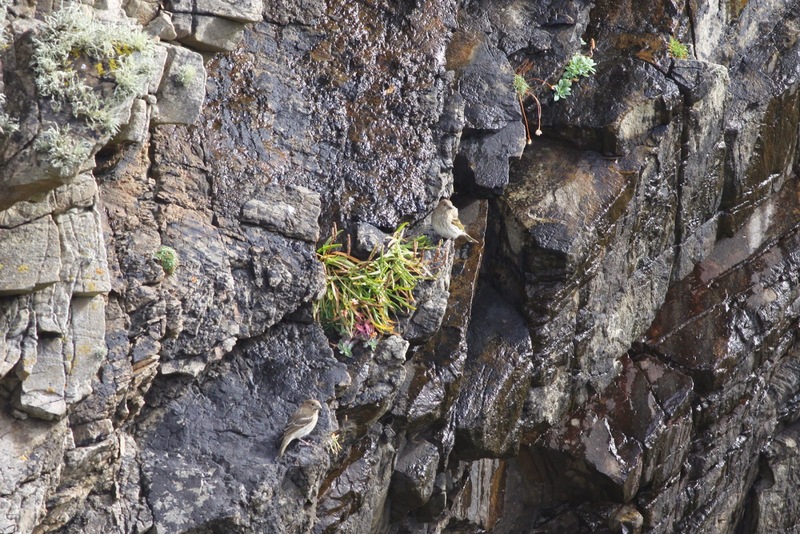 These two were found on the slightly atypical habitat of the cliffs of Copper Geo before moving to Moss Geo. Grasshopper Warbler, Redstart and Blackcap (3) also made their seasonal debuts, whilst notable counts of other species included 5 Little Stints (the highest count for 6 years), 13 Pied Flycatcher, 44 Willow Warbler, 4 Garden Warbler, 3 Whinchat, 3 Fieldfare, 2 Swift and a Reed Warbler (which was trapped in the Gully, bringing the number of Reed Warblers ringed this year level with that of Blyth’s Reed). 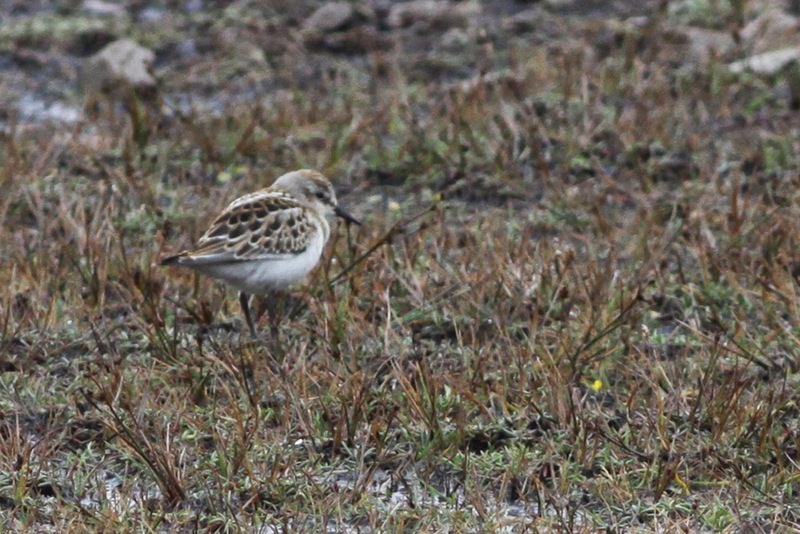 Little Stints are annual on Fair Isle (just about), but often only one or two are seen a year, so today's count was notable. This one was on the wet flush behind North Naaversgill. Most of the Pied Flycatchers were on the sheltered west cliffs, this bird was at Dronger. It’s been a good year for easterly winds, but that seems set to come to a (hopefully temporary) end from tomorrow, with westerlies forecast for the next week and beyond (not that they are always without birds of course). However, the forecast for today does look rather promising indeed, with easterlies stretching all the way from the far end of Scandinavia. 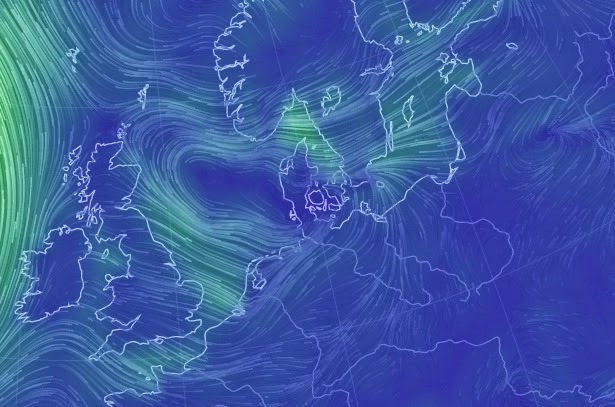 Taken from the brilliant http://earth.nullschool.net/, this shows where our winds are coming from this morning.